Hi and welcome to fisharound.net, a Website operated by Fishing Media Ltd. Fishing Media is a company registered in the UK with Company Number 7458687 and with a registered address at 15 Quarry Hill Road, Borough Green, Sevenoaks TN15 8RQ. Fish Around is a community for anglers. We help fishing fans find the best places to fish, share information and connect. Use of this Website is subject to the following Terms & Conditions. We are entitled to assume that you have accepted these Terms & Conditionsif you use the Website. "Us" or "we" means Fishing Media Limited. "Website" means fisharound.net, and any versions of that Website that may be created as an app for tablets computers or smartphones, or any other device on any platform. You need to be over 18 to use this Website. By using this Website, you are promising that you are over 18, and that all the information you provide about yourself if accurate, complete and up to date. The copyright and all other rights in the Information distributed via the Website are owned by Us or are included with the permission of the owner of the rights. "Information" includes data, images, words, videos and any other content. You may not copy, scrape, modify, extract or distribution any of the Information on this Website without Our prior written consent except as may be reasonably necessary to use the Website. Subject to this paragraph, all rights on this Website are reserved to Fishing Media. vi) in any way that might infringe third party rights or that might bring Fishing Media or any of its subsidiaries into disrepute. 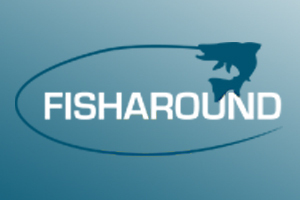 If you send any text, images, video or other content to this Website you accept that the files sent, and all rights therein, Fishing Media will have the right to use that content in perpetuity, throughout the world, in all known and discovered mediums and for all purposes and we shall have the right to make it available to the public on this Website and otherwise. All material must comply with the rules on UGC, set out below. We may require you to confirm the rights granted in this paragraph and where requested to do so you shall provide all reasonable assistance to us. We take utmost care in ensuring that the information on this Website is accurate, but some of it may be supplied to us by third parties and we are not always able to check its accuracy or completeness. You are advised to verify the accuracy of any information before relying on it. Further, due to the inherent nature of the Internet, errors, interruptions and delays may occur in the service at any time. Accordingly, this Website is provided on an "AS IS" and "AS AVAILABLE" basis without any warranties of any kind and we do not accept any liability arising from any inaccuracy or omission in the information or interruption in availability. The information on this Website does not necessarily reflect the views and opinions of Fishing Media. Neither should any suggestions or advice contained on this Website be relied upon in place of professional advice. You are responsible for checking the accuracy of relevant facts, instructions, suggestions and/or opinions given on this Website before entering into any commitment based upon them. We welcome all links from relevant sites. You may not display the contents of our Website (or any page from it) framed or otherwise surrounded by material not originating from us without our prior consent. If you would like to license our material, please contact us. On this Website you may be offered links to other Websites. Whilst we hope you will be interested in those Websites, you acknowledge that the content on those pages is not subject to our control, their owners may be independent from us and we do not endorse or accept any responsibility for their content. We will use all reasonable endeavours to ensure that the Website does not contain any viruses or other malicious code. However, it is recommended that you should virus check everything downloaded from the Website and regularly check for the presence of viruses and other malicious code. We exclude to the fullest extent permitted by applicable laws all liability in connection with any damage or loss caused by computer viruses or other malicious code originating or contracted from the Website. "Fishing Media" and "Fish Around" are registered trade-marks of Fishing Media. You may not use these trade-marks except for the purpose of referring to Fishing Media or its associated brands lawfully and in good faith only. On certain parts of this Website we may require you to register and provide certain information about yourself and where you do this you agree to: (a) provide true, accurate, current and complete information about yourself as prompted by the relevant registration form (such information being the "Registration Data"). The registration processes on this Website will involve you being allocated with a unique username and/or password that gives you access to your account. You are responsible for maintaining the confidentiality of your username and password, and are fully responsible for all activities that occur through your Website account. You agree to (a) immediately notify us if you become aware of any unauthorised use of your password or Website account or any other breach of security by contacting us via our contact form ([Contact Form]) and (b) ensure that you exit from your Website account at the end of each session. We cannot and will not be liable for any loss or damage arising from your failure to comply with these requirements. xiv) You promise that you will repay Fishing Media, its associated companies and its representatives and employees if they have to make any payments (including legal fees) as a result of your statements, contributions or other submissions to our Website, from any unauthorised use of material obtained from our Website or otherwise from your breach of our Rules of Acceptable Use. We will not view or edit or pre-screen any contribution that you or anyone else make to the Website and therefore, unless we are specifically notified of the nature of any item of content, you cannot assume that we are responsible for having made it available on the Website. We, and others that we designate, shall have the right (but not the obligation) at our sole discretion to refuse or remove any content that is posted to, or available on, the forums or the Website without the need to give any reasons for doing so. If you object to the publication of any material placed on our Website please let us know by sending us a communication via our [Contact Us] form and we will take whatever action we deem appropriate. 1. Promotions are open to UK and ROI residents aged 18 and over. 3. Fishing Media and the promoter reserve the right to substitute the prize for another prize of equal value. 9. Winners will be notified by email at earliest opportunity. Winners have five (5) business working days to respond in full to the email or another winner will be selected. 11. Prize draws are open to all residents of the UK and ROI, except employees of Fishing Media, the promoter and their immediate families, the promoters sales or advertising agency , and anyone else connected with the creation and administration of the promotion. 12. The Website administrator's decision is final and no correspondence will be entered into. Odds of winning depend on the number of eligible entries received. 13. Fishing Media will not accept responsibility for loss through technical fault, incomplete, illegible or other damaged entries. Proof of entry is not automatically proof of receipt. In the event that any term of these Terms & Conditions is held to be invalid or unenforceable, the remainder of these Terms & Conditions shall remain valid and enforceable. Fishing Media reserves the right to vary these Terms & Conditions at any point. Such variations become effective immediately upon the posting of the varied Terms & Conditions on the Website. By continuing to use the Website you will be deemed to accept such variations. You should check these terms and conditions regularly. Nothing in these Terms & Conditions shall restrict or exclude any liability that we have to any party which cannot be excluded by law and in particular, and notwithstanding any term of these Terms & Conditions, our liability for death or personal injury caused by our negligence shall not be limited or excluded in any way. These Terms & Conditions shall be governed by English law and the courts of England and Wales shall have exclusive jurisdiction. Additional terms may apply to other areas of this Website, or future areas that we decide to launch.